The Washington Post reports that the Trump administration is preparing to add Venezuela to the U.S. list of state sponsors of terrorism in what would be a dramatic escalation against the socialist government of Nicolás Maduro, according to U.S. officials and internal government emails. The (American) list is reserved for governments accused of repeatedly providing “support for acts of international terrorism,” which includes only Iran, North Korea, Sudan and Syria. Countries, where terrorism is endemic to daily life in more recent years, are quite often those that America and its allies have attacked, namely: Afghanistan, Iraq and Libya, which are not mentioned in their list. There are other countries in the same region who should be on that list, that isn’t. Republicans have long accused Venezuela of having ties to terrorist organizations but experts all over the world have played down any such assertions. They warn that the legitimacy of the U.S. list is applied inconsistently anyway. Relations between Cuba and Venezuela, since 1902 were aggravated by the Cold War but then changed towards defending themselves from a common enemy – America. It is a Cuban American politician that is calling for the terrorism designation? He has clamoured for a tough U.S. posture toward Venezuela, a longtime backer of the Castro regime in Cuba. 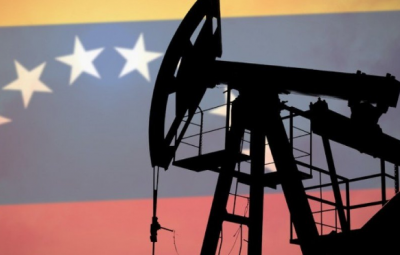 In the meantime, the proven oil reserves in Venezuela are recognised as the largest in the world, totalling 297 billion barrels, currently worth well over one trillion dollars. Saudi Arabia was knocked off the number one slot just a couple of years ago in terms of known reserves. Another stunning statistic that should surprise absolutely no-one with an internet connection, is that Venezuela also happens to be the largest supplier of oil to the United States, sending about 1.5 million barrels per day. Not paying for that would be good for America’s economy, as would stemming their supply to America’s competitors. During a press conference with Calixto Ortega, the president of the Central Bank of Venezuela on Tuesday, Economy Vice President Tareck El Aissami said in early October that all future transactions on the exchange market would be made in euro, yuan and “other convertible currency” instead of the US dollar. It should not be forgotten that Iraq’s Saddam Hussian had gradually converted from the dollar to the Euro in the years leading up to the second war that reduced the country to rubble. In fact, the process was completed only months before the US-led coalition invaded. Gadhafi’s plan to quit selling Libyan oil in U.S. dollars — demanding payment instead in gold-backed “dinars” (a single African currency made from gold) — was quite possibly a cause for their demise. Libya now boasts open slave trade markets and human trafficking as one of its sources of income after being turned into a failed state by a NATO-backed coalition fronted by Britain, France and the USA. Before Syria was attacked, it produced 338,000 barrels of oil a day – today, that figure is just 15,000 barrels. The US, largely seen as having failed in its bid to oust its leader and destroy the state, now occupies 30 per cent of the country including the areas containing most of its oil, gas and water. The bombing damage to Syria’s infrastructure is estimated to be in the region of $250 billion. In a bid for further security, Syria has now signed oil and gas agreements with Russia. As for Venezuela, one could assume the usual American playbook of destabilisation strategies to be deployed very soon.